In today's massive online marketplace the cost of affordable SEO services may be anything but affordable. From $750 month to $5000 month makes it out of reach for many SMB's. For business websites using Exai, boosting your companies SEO rankings doesn't have to be complicated or expensive. You can't get results if you're not sure who to hire and what they're supposed to be doing. That's why Exai will "hand pick" an SEO expert for you and oversee the process from project to payment. We built the CMS to be used by anyone wanting to create a professional looking website without the need for code. But that's not all, Exai took into consideration other factors like SEO as well. Using a combination of keywords, content and the best website builder gives better control and manageability over the process. Creating an easier workflow and being able to adjust your content whenever you need to becomes an important tool to help you manage your SEO and create affordable SEO services for yourself. Exai created an easy to use platform that makes updating content and SEO easy and manageable. By going to Page Settings, and inserting your keywords into the template we provide. This makes keyword placement for all your meta descriptions, page title and site description manageable and easy. For search engines to crawl your site, clean code is essential. Every Website on Exai has a sitemap automatically created so your site can be crawled and indexed correctly. A range of 5 packages to choose from, Costs range from $125 for 10 keywords and up. For those of you using Exai to build and host your site, you can even have us do your SEO for you. Our prices are transparent and affordable. As a first choice, however, it's always better to depend on your own efforts to create content geared to your market. 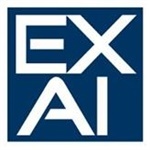 If you haven't yet joined Exai maybe it's about time you check out some of our features and tools.